I would like to align my statement with the statements put forth by the distinguished representatives of Sudan on behalf of the G77 and China and Nepal on behalf of the Least Developed Countries. On behalf of my delegation, I warmly congratulate you, Ambassador Viinanen, on your unanimous election as Chair of the Intergovernmental Preparatory Committee for the Fourth United Nations Conference on the Least Developed Countries (LDCs) to be held in May this year in Istanbul, Turkey. I would also like to congratulate the other members of the Bureau on their election. I assure you, Mr. Chairman, that my delegation will be constructively engaged throughout the intergovernmental negotiations and will extend full cooperation in order to ensure the successful outcome of the Conference. I thank the High Representative and his team in OHRLLS for their continued support and hard work on the preparation of the Conference. I also would like to thank the government of Turkey for generously hosting the 4th UN Conference on LDCs. The LDCs represent the poorest countries in the world, which face severe and numerous challenges. 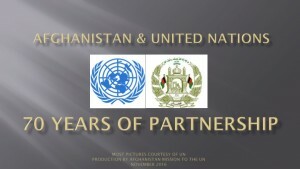 Since the adoption of the Brussels Program of Action in 2001, progress has certainly been made, but it is becoming increasing clear that some LDCs, including Afghanistan, will be unable to reach the MDGs within the projected time frame of 2015. 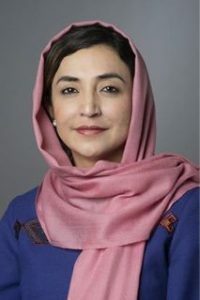 According to the Afghanistan National Development Strategy (ANDS), Afghanistan, an LDC, LLDC, and a post-conflict nation, has reassessed its situation and given the current context has designated 2020 as its target year to reach the MDGs. The Brussels Program of Action was adopted in 2001, and draws a comprehensive strategy for the LDCs to achieve the MDGs by 2015. Key challenges and constraints persist; the seven goals of BPoA have not yet been achieved. Going forward, we should focus on analysis of the main elements of existing challenges and constraints. We all know that LDC-IV, which is taking place a decade after Brussels, will be dedicated to development issues of 49 LDCs; it is among the most important events in the year 2011. LDCs, particularly those emerging from conflicts have high expectations with a result-oriented outcome for this conference. The Conference will benefit and derive its sustenance from the strong political commitment of the international community. It is equally important to note that the Conference is being held at a time when the international community continues to struggle with the impacts of economic and financial, as well as food and fuel crises, and climate change. It is well-documented that LDCs, particularly countries emerging from conflicts, continue to face structural constraints and extreme vulnerability. While some progress has been achieved in some areas over the years, progress has been slow and uneven and whatever has been achieved is now reversed as a result of the combined effects of all these crises.Â LDCs also starkly lag behind in meeting the internationally agreed development goals, including those contained in the Millennium Declaration. Despite their best efforts and support from the international community, LDCs continue to get caught in the vicious trap of poverty and hunger. Ã˜Â Istanbul should produce an outcome that is ambitious, comprehensive, forward-looking and result-oriented so that desired socio-economic transformation is achieved in LDCs in the next decade, enabling them to graduate from the LDC status. The progress that they will make has to be sustainable and comprehensive to have a desired impact on reducing poverty and accelerating economic growth. Past experiences amply demonstrate that the â€˜business-as-usual-approachâ€™ will not yield substantial results. What is required is an enhanced, effective and consolidated package of international support measures in line with GA resolution 63/227. We want an Action Agenda that is implemented in its entirety with stronger results on the ground. The Istanbul outcome should have a robust mechanism for monitoring and follow up of the implementation of the next Programme of Action with a clearly defined and shared accountability of LDCs and their development partners. Finally, as mentioned in by previous speakers, in view of limited time available from now until Istanbul, the preparatory process must be expeditiously and intensely conducted in a constructive manner with the involvement of all stakeholders.